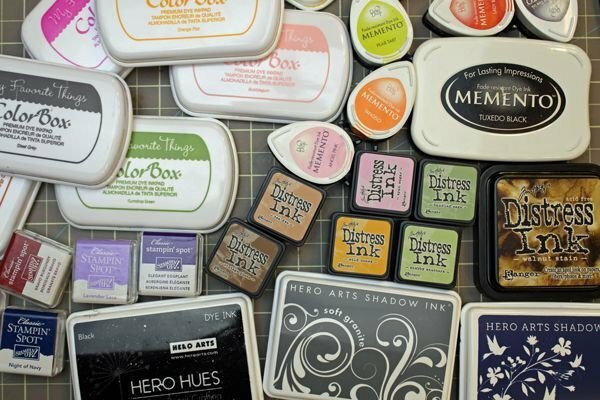 *Note Date Change* April's Inky Chicks meetup will be held on the 4th Saturday this month! The City Chicks LOVE to get inky and messy, so we've decided to make it a regular thing. Join us each month on the 3rd Saturday and get inky with us!! When Dyan Reaveley was here at our store, she challenged us to start a club. We've got some exciting things planned for this club and can't wait to impress Dyan when she comes back :) If you love mixed media, paints, inks, crayons and more then this is the club for you!! Each month we'll learn a new technique and play with a different product. Instruction & techniques will be given during the first hour of class and then we will play and try the techniques on mixed media paper. ...and there's more! After you've attended 5 Inky Chicks art journaling club meetups, you'll get to redeem your punchcard for a free gift from the City Chicks!! Requirements: A basic mixed media kit can include: Inks, Paints, Spray Paints, Stencils, Washi tape or journaling tapes, Blending tools & foam refills, #8 or #10 round brush, 1/2" or 1" flat brush, aqua brush, pencil, scissors, glue stick, black pigment ink pad, stamping tool or press.